Known for its behemoth stores in the suburbs, IKEA announced this week it would open a small store in New York City. Here's what furniture and lighting retailers can learn from this pivot. Many jokes and sitcom plots have been written about navigating the big-box maze that is an IKEA store. Couples fight and get lost, but the stories usually end with meatballs — and occasionally divorce. But New York City couples may need to find a new place to fight or divorce because IKEA's new city store won't have extra room for drama. 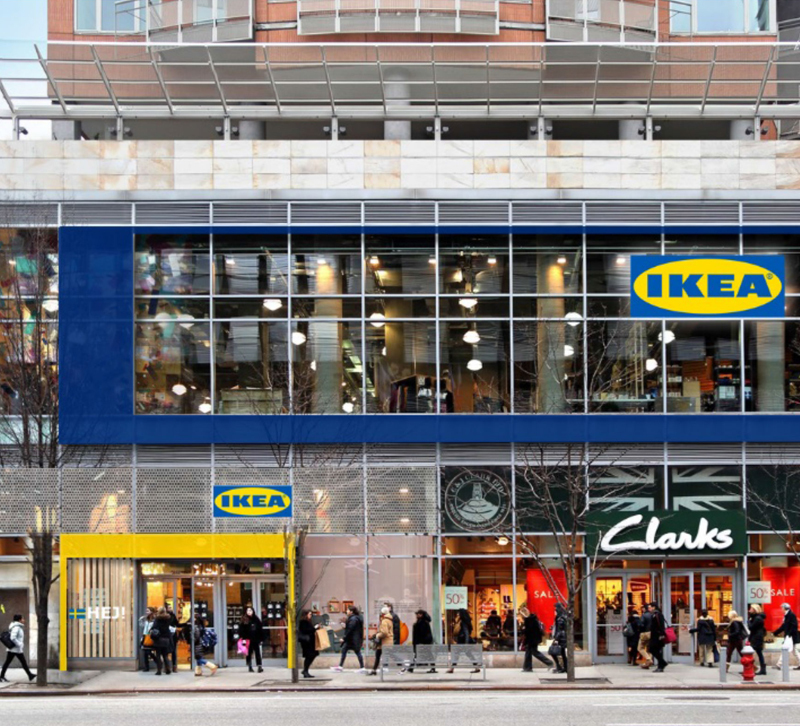 This week, the Swedish furniture manufacturer announced it would be opening its first urban store — IKEA Planning Studio — on New York City's Third Avenue in the spring of 2019. As Retail Dive reported, this new store will be geared towards "smart solutions for urban living and small spaces," giving shoppers the opportunity to check out products in the store and then order them to be shipped to their homes. It's not clear how big the store will be, but it seems the store may be targeting two urban consumer issues with furniture shopping: that they prefer to see products in person before purchasing and that they will likely need some sort of delivery. Research shows that the vast majority of consumers still prefer to shop for furniture in-store (and we'll have more on this in the January 2019 issue), but in big cities where fewer people have cars, delivery becomes vital, even for smaller items. The IKEA Planning Studio will be the company's first urban location, but it already has plans to open another 30 urban spaces in other major cities. There's a lot to un-flat-pack here with IKEA's new strategy, so here's what furniture and lighting retailers should be watching with this move. IKEA cited research on urban living as one of its top reasons for opening a space in New York City. The company conducted its own research and found that twice as many people (about 60 percent) of the world's population will be living in large cities by 2030. They'll also have smaller spaces to decorate. Thus far, IKEA's footprint in the U.S. is mainly outside of city centers, and their spaces are massive. From a business standpoint, these big-box stores have high operating costs, and while consumers usually like having options, they may value other perks or services, such as being able to schedule a delivery, more than being able to see an entire furniture collection. IKEA plans to set up vignettes within its urban studios to give customers an idea of how to mix and match their furniture collections, and the company intends to be more experimental with these urban spaces. That could mean a lot of things (product demonstrations, pop-up shops, who knows), but it means that IKEA wants to be more nimble. It's already using virtual reality in its Place app to make online shopping easier. Now it's time to move to the in-store experience. The takeaway: Smaller spaces could mean bigger values, especially if your customer needs are changing. Last year, IKEA purchased a company called TaskRabbit, an odd-job startup that connected consumers with, well, other people who could help them do a task — anything from mow the lawn to run an errand. IKEA wanted to offer a new service, and it fit nicely with TaskRabbit: furniture assembly. Yet another activity almost guaranteed to start a fight between couples, building IKEA furniture can be one of the biggest deterrents for consumers who might otherwise shop the brand. With TaskRabbit's service, consumers can have a professional come out and put the furniture together while they watch from the sidelines. IKEA certainly isn't the only company to sell assembly required furniture (looking at you, Target, Walmart and Amazon), so this service sets IKEA apart from its competitors. The takeaway: Offering specialty services — in-house interior design, at-home consultations, delivery and set-up — can set you apart from your competitors. If you offer any service, not just great customer service, promote it on your website, social media and email campaigns. Put it front and center on your website's homepage. What do you think of IKEA's retail shift? Share with us in the comments!